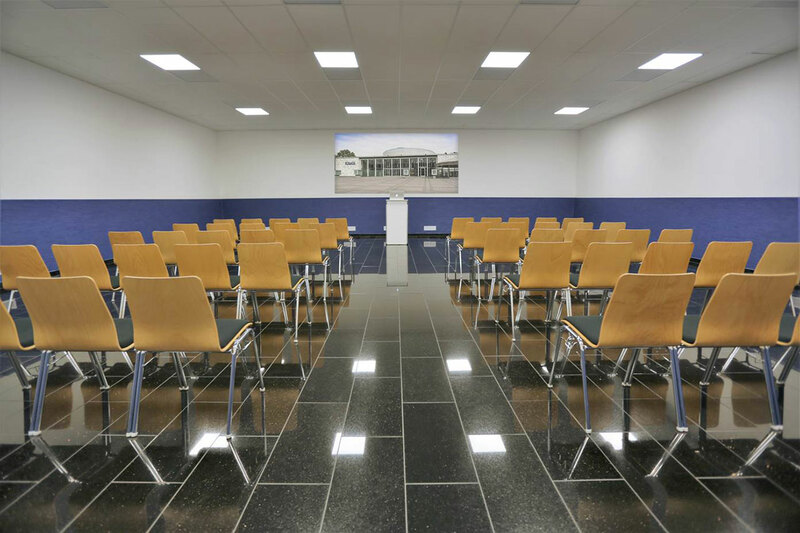 With the same design as our other event halls (hall 1, hall 4 and hall 5) hall 7 is equipped with a black, shiny granite floor and a daylight-inducing light concept. 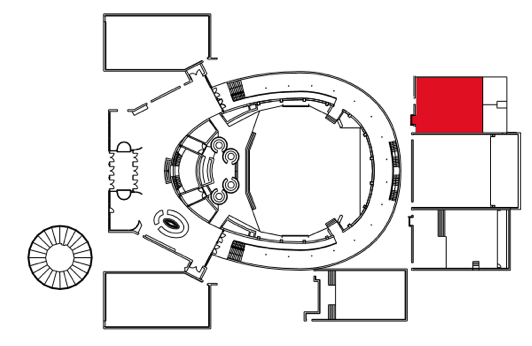 With a size of 120 sqm the room offers variable options for seating and therefore a great deal of flexibility. So up to around 100 people (for ex. 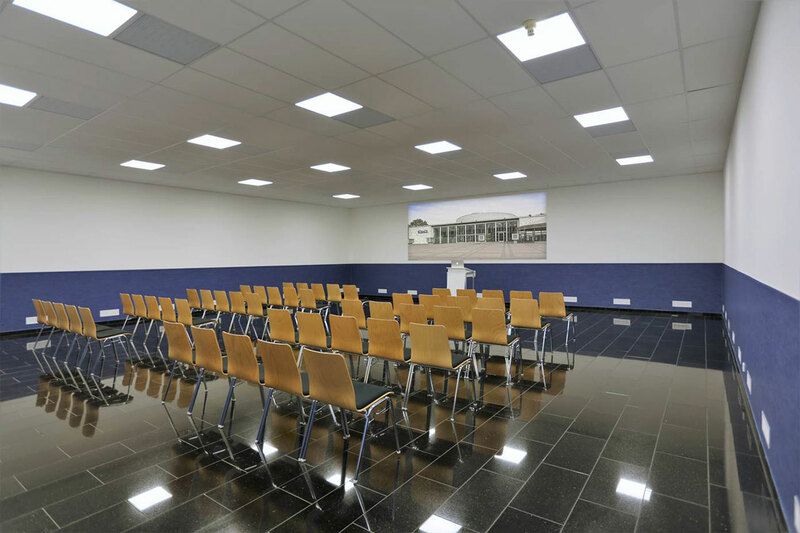 row seating) can fit comfortably in the ground level hall for meetings, workshops, lectures or rehearsals. Another feature of hall 7 is the direct access to the backstage area. Connections for additional lighting, sound and video equipment are naturally present.